The Thatcher years could also be called the Saatchi &Saatchi years. The sophistication of political marketing and presentation reached a level that had never been seen in Britain before. Margaret Thatcher was the first political leader to employ a professional advertising agency, to blustering disapproval from the Labour Party, and Saatchi & Saatchi took the opportunity with exceptional gusto. 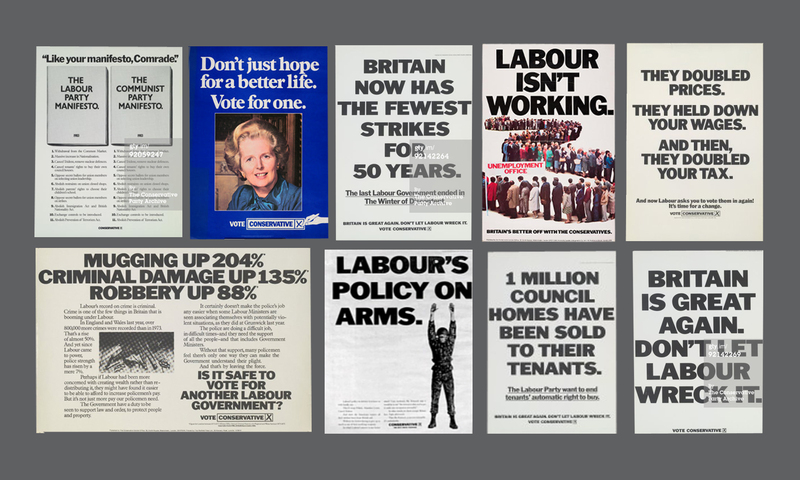 The agency produced what is widely regarded as one of the best posters ever created, not just within the political realm but throughout advertising history, in ‘Labour Isn’t Working’. But there were many other fantastic posters produced across her three successful general election campaigns in 1979, 1983 and 1987.